I would just like to thank you Mr Shipp for being such a kind person. When I brought you my sons first whitetail to get the antlers padded I asked if you can have them done by Christmas, you said no problem. When I received your call on December 18 saying his antlers were ready to be picked up, the look in my sons eyes were full of excitement. 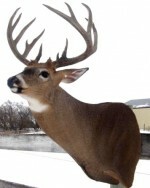 And when my son and I came to your studio you asked him about his hunt, he told you the whole entire story, and you sat back and listened to the whole thing, and when he was finally done you shook my 12 year old boys hand and said congratulations handed him his antlers said merry Christmas and didn’t charge him for your fine work. That right there meant the world to him and myself. You took the time out of your busy day to sit back and listen to a youth tell his hunting story, that made him feel like a man. 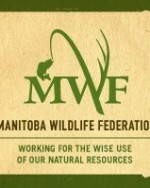 In my opinion you are the best taxidermist in Manitoba. Thanks Again and God Bless you! Sometimes, out of the blue and totally unexpected, the nicest things happen. 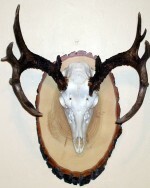 Such is the case of this Whitetail mount donated by Darren Shipp of Wild North Taxidermy in Winnipeg. Darren dropped it off after talking to staff at the Boat Show this past March. The doe has “snow” on it, so realistic it even fooled a couple of people into thinking it had just been brought in from outside!! We have hung the mount in our Hunter education classroom in the Federation office, much to the delight of the students who have only ever seen a buck mount. A few weeks ago, Darren stopped by the office, with yet another donation! This time he brought a gift certificate for a Whitetail mount, which we will us in one of our fundraising events! Thank you Darren – your generosity is very much appreciated.